T-Mobile’s John Legere is just as sick of seeing AT&T ads for their “Best ever prices” family plan as you are. 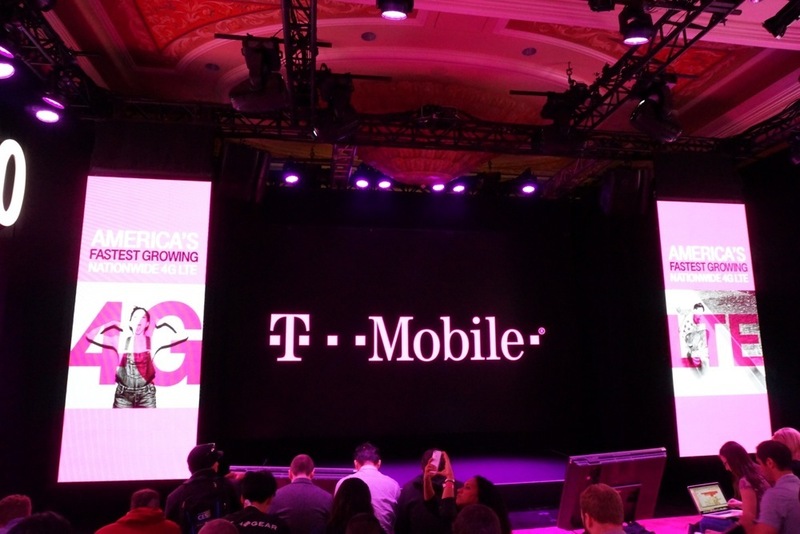 To try and directly compete with that plan, T-Mobile will launch their own best ever-like pricing, with a new family plan that runs just $100 per month for four lines, yet includes the same 10GB of data as the competitors, along with unlimited talk and text. 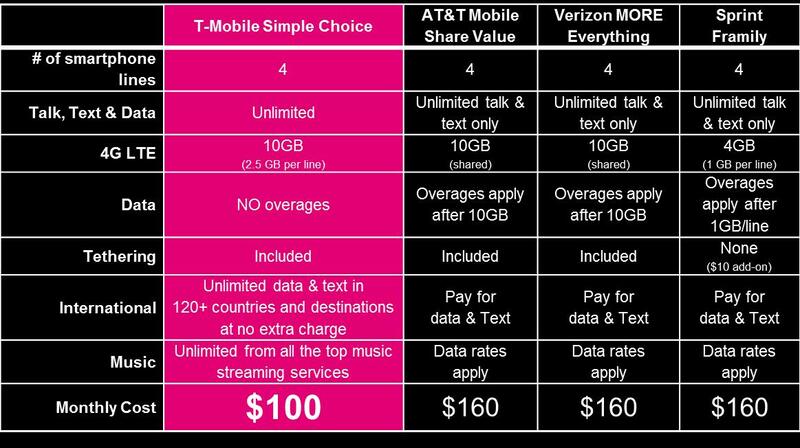 For comparison, T-Mobile put together a chart to show you how this new plan beats out not only AT&T, but also similar plans from Verizon and Sprint. Since the chart was created by T-Mo, you have to take it for what it is. However, it does show the major points here, like price, which is $60 lower and the 2.5GB of data per line, with no overages. T-Mobile is still giving away unlimited data and text in over 120 countries with this plan, plus they are letting you stream music from many of the top music services without it counting against your data. Keep in mind that the other carriers used shared data with their plans, so that full 10GB of data can be used however a family sees fit. For example, one person in your house could use 6GB of data, because they need to, while another less-data-hungry member may only need 1GB per month. With T-Mobile’s plan, each line is given 2.5GB of data, but if one of those family members wanted to use 6GB of data, they would be throttled after eclipsing the 2.5GB mark. So while these plans are somewhat comparable, they are indeed different. But hey, pricing! Marketing speak! Shouting! In the end, it all depends on who has the best network coverage in your area, but can still give you a decent price. This new plan is available starting July 30 through 2016.